Unusually enough, the Australian Shepherd does not originate from Australia at all. In fact, this breed comes from the US. 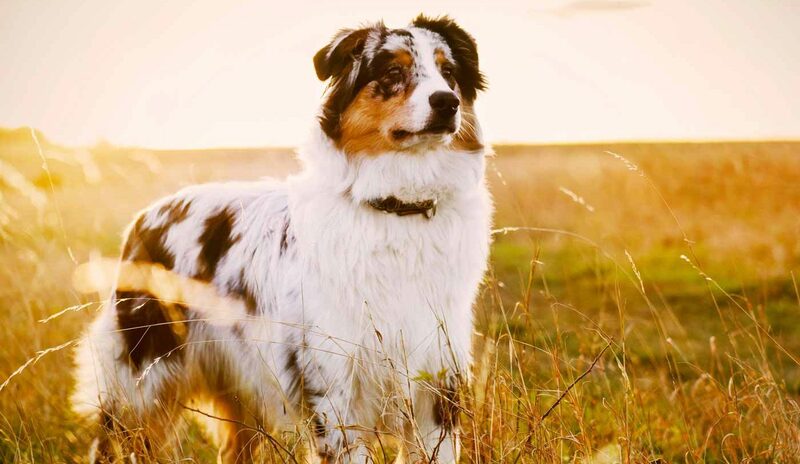 Intelligent and hardworking, the Australian Shepherd is a no-nonsense breed that pairs high intelligence and high energy. This breed is a loving family dog, but is best-suited for a family that is regularly on the move. Because of their active nature and working dog lineage, Australian Shepherds are extremely useful as well. They feel right at home helping to herd animals, gather children, or, once trained, even picking up around the house! A thinking dog, the Australian Shepherd likes to know what’s going on – and whether he can join in. They appreciate consistency, which often requires a regular schedule that provides them with structure. These pups are also highly protective. They regularly guard their families and behave warily towards strangers. 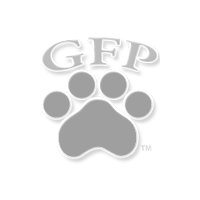 Early exposure to other pets, children, and people will help them form friendly temperaments. Many people assume that because the Australian Shepherd is a herding dog it requires significant space to be happy. That’s not necessarily the case, as this dog breed will adapt well to smaller apartments too. 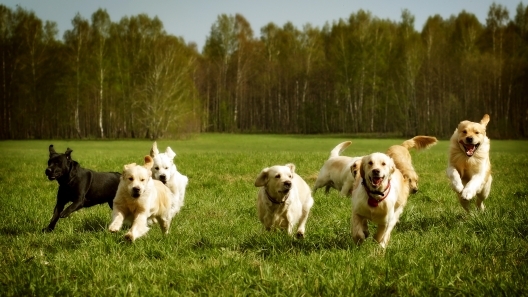 As long as they get to run vigorously for a short amount of time each day, they’ll be content. In addition, Australian Shepherds prefer to be with their families whenever possible, which means they can become destructive when they’re alone for too long and get bored. Their water-resistant coat helps keep Australian Shepherds comfortable in rain and snow. They are a good fit for colder climates as well as warmer climates. Oftentimes, they develop a heavier undercoat when they live in cold climates than Aussies that live in warmer, sunnier climates. As with all dogs, however, you want to be careful and provide extra protection in extremely hot or cold weather. While Australian Shepherds are not more likely to become sick than other dog breeds, they do have a wider range of illnesses that could affect them. In addition to the joint and eye issues that accompany most dogs, especially in old age, there are a few that are specific to this breed. They include epilepsy, deafness, allergies, hypothyroidism, cancer, and drug sensitivities. The genetic history of the parents can give you a good idea of what to expect in your puppy. Owners of Australian Shepherds often find that they are persistent yet amiable. They want to be involved with family activities as much as possible, so they can sometimes come across as clingy. They’re easily trained due to their herding instincts, high intelligence, and an innate desire to follow commands. 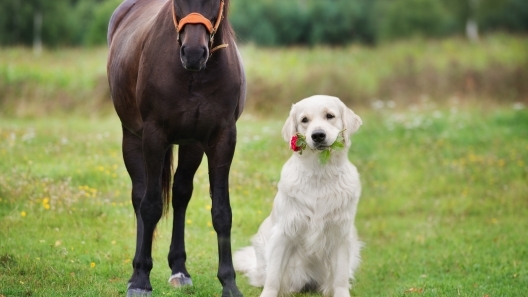 This breed has a thick, medium-length coat that may have a slight wave. The coat typically falls into three categories Merle, Tricolor, or Red/Black. The Red/Black coat is characterized by a single coat color in red or black with white fur commonly on the chest, neck, legs, and often in a stripe from the muzzle to the head. The Merle color is characterized by dark spots or blotches on a lighter background, often creating a patchwork look. The common variations in this category include Merle, Red Merle, and Blue Merle. A Tricolor coat is characterized by having a white and tan coat paired with another solid color. The variations here are Red Tricolor and Black Tricolor. Australian Shepherds will definitely shed year-round, but regular brushing can help you avoid shedding mishaps throughout the house. Twice a year, on a seasonal basis, they go through major shedding events and may require a trip to the groomer. As long as you keep them well-groomed, Aussies only need to be bathed when they are dirty. You’ll also want to get them comfortable with trimming their nails as a puppy as you’ll need to trim them regularly to avoid splintering. These dogs are justifiably active for their origins. They’ve maintained their herding instincts over the generations and have the drive to chase. Because Australian Shepherds are working dogs, they need exercise to keep good muscle tone and to expend some of their energy. Keeping up with their energy levels can be daunting, but as long as you play a long game of fetch or go on an early morning jog with him every day he will be happy. When fully grown, the Australian Shepherd measures between 18 and 23 inches at the shoulder. Females will tend to measure 18 to 21 inches, while males tend to fall in the 20 to 23 range. They can weigh in between 35 and 70 pounds. Oftentimes, female Australian Shepherds will weigh in between 35 to 55 pounds, while the males range from 55 to 70 pounds on average. Australian Shepherds sit on the higher spectrum of dog breed life spans, with an average of around 12 to 15 years. A famous Australian Shepherd was Hyper Hank. He performed an expertly-crafted Frisbee routine with his owner, Eldon McIntire, in the 1970s. They performed across the country, winning contests and gaining fame. They even performed during Super Bowl XII as part of the pre-show!